1. 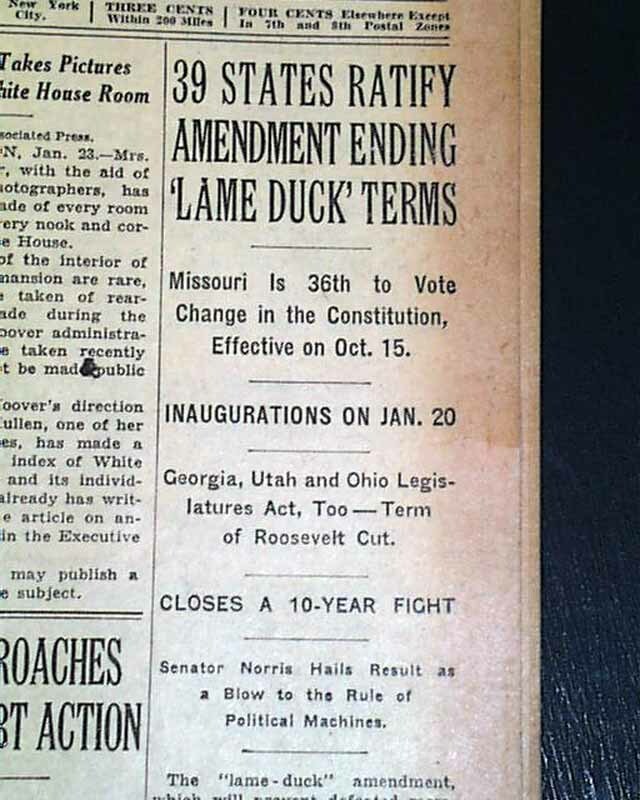 The start date for Congress was set by the 20th Amendment, AKA the “Lame Duck amendment" in 1933. Before that, members sat for 13 months in office after losing an election. The start date of January 3 can be changed by statute. 2. 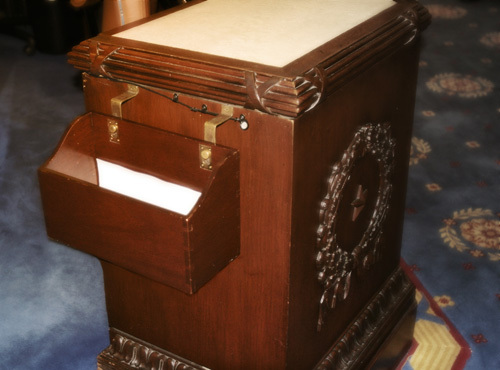 The text of the oath of office for Congress does not appear in the Constitution. 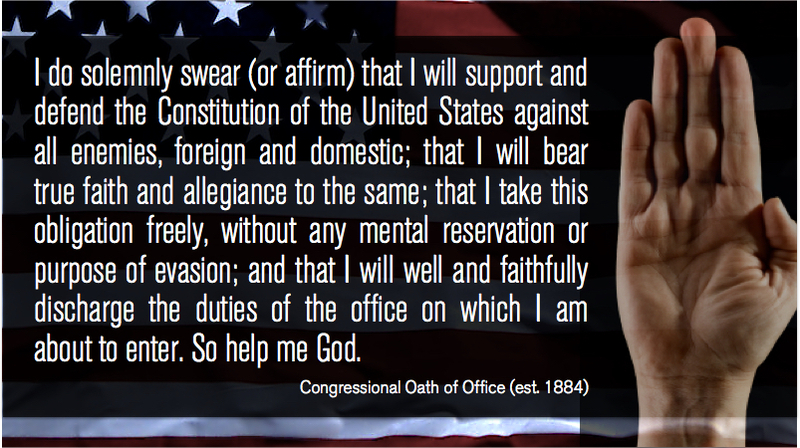 It simply says that they "shall be bound by Oath or Affirmation to support this constitution.” The oath in use today dates back to 1884. 3. 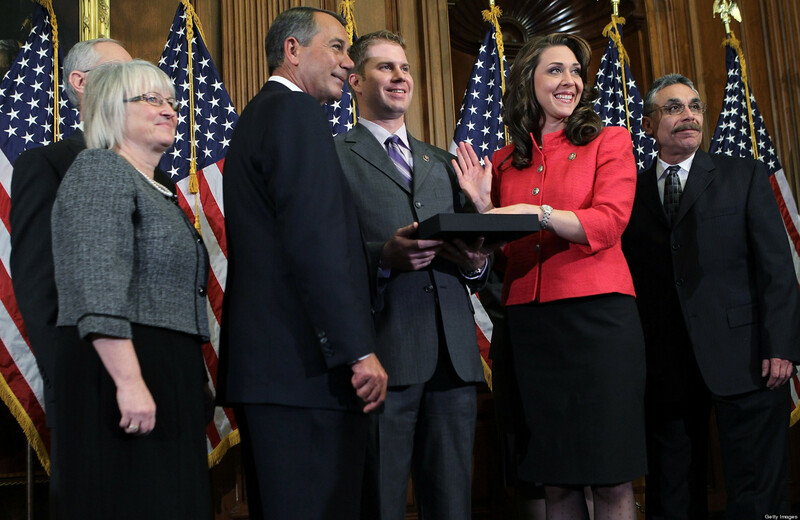 Those photos of smiling Members of Congress and their families taking the oath — they are staged. Photography is not allowed on the House or Senate floor, so members take one oath at the beginning of the day and then stage a “ceremonial” oath in another room in the Capitol. 4. Members-elect raise their right hand to take the oath. 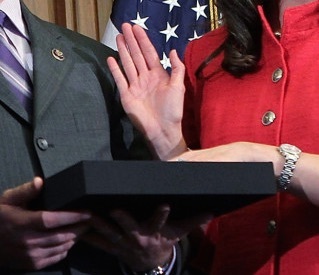 There is no requirement that a Bible or any object be touched by the left had during the oath. 6. The Speaker is sworn in by the Dean of the House (its longest serving Member). The current Dean of the House is Rep. John Conyers (D, MI-13), who has served in the US Congress since January 3, 1965. 8. The Vice President is leader of the Senate and a “President Pro Tempore” serves in his or her absence. The President Pro Tempore is third in the line of succession (after the Vice President and the Speaker of the House) and is traditionally the longest-serving member of the majority party. 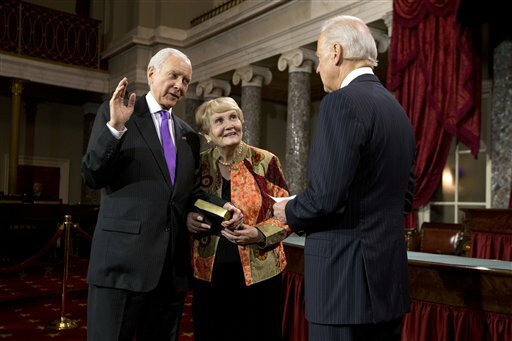 Senator Orrin Hatch (R-Utah) is expected to be re-elected President Pro Tempore for the 115th Congress. 9. The House must pass new rules for the new Congress, which may include significant changes to House practice. Here's a summary of the rule changes and the actual text. 10. Expect a flurry of new bills in the first days of the Congress. Follow the 115th Congress with POPVOX Updates! As bills are introduced, they will be added to POPVOX, where you can follow their progress through the legislative cycle, share your opinion with your elected representatives, and join with like-minded people to build support for your position.